On October 12, 2014 Cushman & Wakefield | PICOR will mix, pour, flip and serve as many pancakes as you can eat. The proceeds of this annual fund raising event go directly back into our community. Our goal is to distribute funds collected from generous clients, colleagues, vendors and community friends to those Tucson-area charities benefiting disadvantaged youth where a modest grant will make a significant difference. Often, these are programs and organizations which may receive less public support than their counterparts. 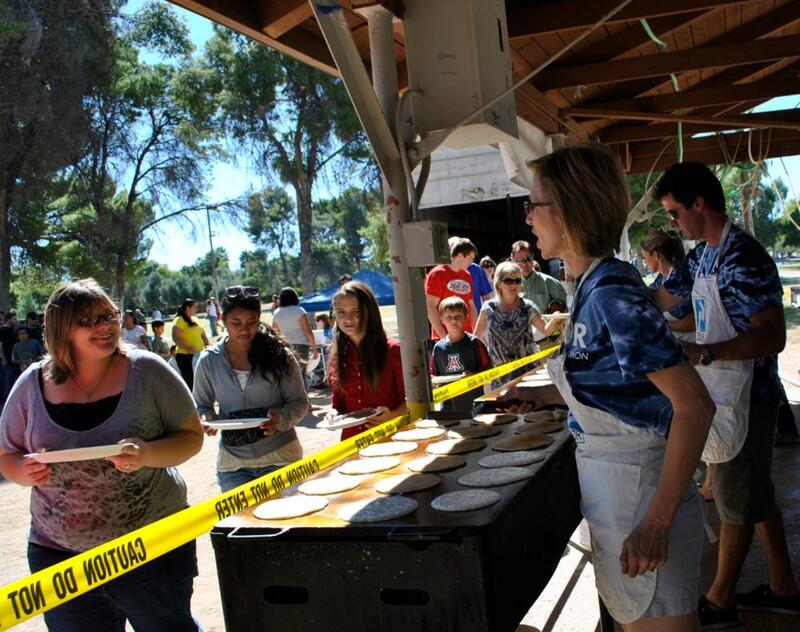 This 2014 October Pancake Feed will continue a 52-year tradition of fundraising for disadvantaged youth right here in Tucson, with 100% of proceeds going to children's programs (32 different organizations funded in 2013). Visit http://picor.com/picor-charitable-foundation to find out more and to learn how you can participate. We welcome your financial support as well as applications for grants from qualifying charities. Click here for a full list of 2013 Tucson grant recipients. Pictured below: Barbi Reuter serving pancakes for the annual Pancake Feed. Aaron LaPrise flipping cakes on grill #2 (to Barbi’s Right) and background Tina Olson serves up debatably the best cakes from all three grills.